Donate - Chabad Lubavitch Center - Texas Regional Hdqrtrs. 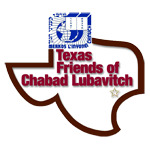 Texas Friends of Chabad Lubavitch, Inc. is a 501(c)3 nonprofit organization. All grants and charitable contributions are tax-deductible. Click here to see the list of programs we provide. Donate Online in your name or in the name of a loved one!